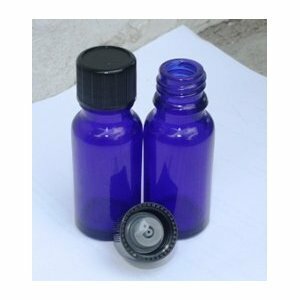 1/2 ounce (15ml) cobalt blue essential oil bottle. These bottles include a black top and dropper insert (orifice reducer). The dropper insert allows you to invert bottle and dispense one drop at a time.